Physical therapists help people be fit for life: Evidence shows that people who stay active are more likely to keep working, engaging in society and enjoying life – and that physiotherapists have a vital role in helping them do so at every stage of life. This is the message that thousands of physiotherapists (known in some countries as Physical Therapists) are sending out on World Physical Therapy Day on 8th September. World Confederation of Physical Therapy President Marilyn Moffat says, as quoted: "Many people do not recognise the contribution to keeping people healthy and independent, World Physical Therapy Day is an opportunity to change that." Every year, physical therapists help millions of people to prevent non-communicable diseases (NCDs) such as heart disease, stroke, diabetes, chronic respiratory disease and cancer through recommending safe and appropriate exercise programmes. 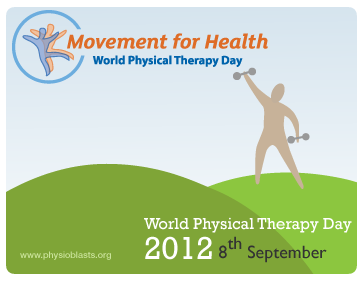 They help people be 'Fit for LIfe' – the theme of this year's World Physical Therapy Day. Physical therapists also help people manage the effects of these conditions, along with the effects of aging, a wide range of diseases, accidents and the stresses and strains of life.